Each “flu season,” the Centers for Disease Control and Prevention (CDC) ramps up the fear factor to warn people of the impending new viruses that naturally circulate in the population. They create a flu vaccine based on their best guess; no science necessary. This year, Enterovirus D68 is a top story for its damaging effect on children. 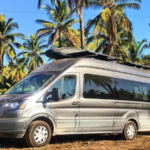 Since last summer (2014) CDC “confirmed a total of 1,116 people in 47 states and the District of Columbia” with respiratory illness caused by EV-D68 and one confirmed death. To pump up the volume, the CDC now calls it “Non-Polio Enterovirus Infection” to describe features similar to polio in the most sensitive children who develop paralysis in the arms and legs. As these new alpha-numeric infections seem to show up on the cusp of back-to-school shots in children, are vaccine contaminants to blame? vaccines lower immune system integrity, while childhood diseases are vital to building immunity. there are no studies showing that the flu vaccine (or any vaccine) works. 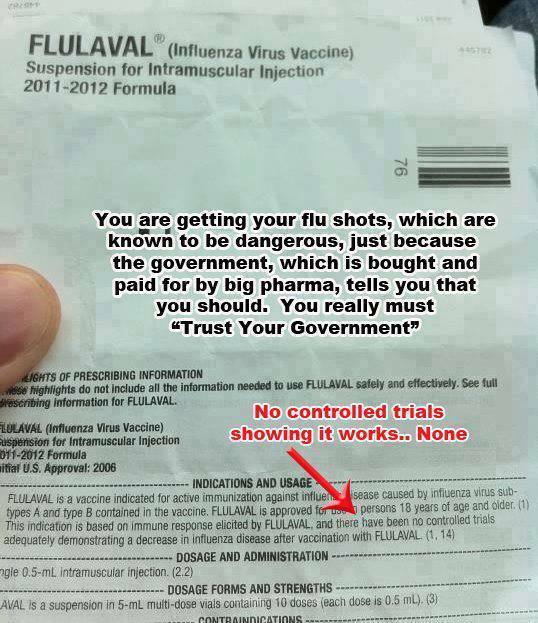 the paralytic symptoms of Guillain-Barré Syndrome are known side effects listed on the flu vaccine package insert. polio-free does not mean paralysis-free as India and other countries are finding when using the oral polio vaccine. What happens when “expert opinion,” contradicts package inserts? Do a little digging and you’ll discover that children who receive the flu vaccine are at three times the risk for hospitalization for flu, according to the American Thoracic Society. Vaccinated children are two to five times more likely to be diagnosed with a disease than unvaccinated children. And infant mortality rates regress when fewer vaccines are given. The World Fact Book lists countries by mortality rate (IMR) under the age of 1. Of all developed countries, those that give the most vaccines have the highest IMR. 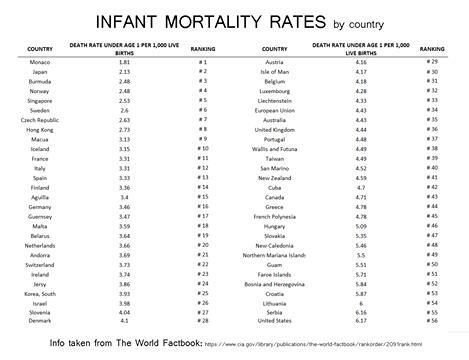 The U.S. ranks lower than Bosnia, Serbia, and Croatia in infant mortality rate at number 169 out of 224. Published data shows adjuvants (e.g., aluminum) in vaccines, including the flu vaccine, can induce autoimmune/inflammatory syndrome, which include encephalitis, chronic fatigue syndrome, macrophagic myofasciitis, subcutaneous pseudolymphoma, and siliconosis. (Agmon-Levin, N. et al, Journal of Autoimmunity 36, no. 1, February 03, 2011; Guillard, O. et al, J Trace Elem Med Biol. 26, no. 4 , October 26, 2012). A 2011 study in the Journal Vaccine, showed inflammatory adverse events (preeclampsia and preterm birth) among pregnant women taking the trivalent influenza vaccine (Christian, L. M.et al., Vaccine. September, 2011). According to a 2012 double-blind, randomized, controlled trial (the first of its kind) conducted in healthy children 6 to 15 years of age, getting a flu shot was found to increase the risk of other respiratory viral infections over four-fold. (Benjamin J. et al., Clin Infect Dis. March 15, 2012). 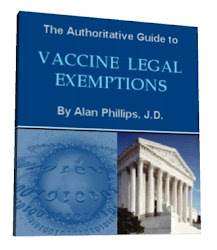 An open 2013 letter published in the Journal of American Physicians and Surgeons questioned whether flu vaccine mandates for healthcare workers are medically warranted and ethically correct citing that the flu vaccine: 1) is a “statistical gamble” in targeting actual circulating viruses; 2) shows seventy percent of people are already immune at the time of vaccination, according to FDA studies; and 3) shows no evidence that it affects complications of pneumonia or transmission from person to person (as advertised) (Leib, Lee H. et al., Journal of American Physicians and Surgeons Journal of American Physicians and Surgeons18, no. 2. 2013). According to a 2005 study published in the Archives of Internal Medicine, “There are not enough influenza-related deaths to support the conclusion that vaccination can reduce total winter mortality among the U.S. elderly population by as much as half.” (Simonsen, L, Archives of Internal Medicine 165, no. 3, February 14, 2005). The Fluzone flu vaccine insert for 2015 identifies 23 seniors who died during the trial. As hospitals in the United States continue to force staff to “get the jab” or forfeit their job, it is becoming increasingly clear that fear-based threats do not stand against scientific scrutiny. At the same time, public health agencies, now becoming militaristic in their effort to mandate vaccines for “prevention,” ignore the growing number of sick kids who are suffering from the very prevention they promote. This is a perfect time to question authority and falsehoods that cause harm. Is the CDC really masquerading as the Centers for Disease Creation and Promotion? If enough people use their voice to say NO more, and withdraw consent, the healing of a sick nation can begin. There is always a choice. You can choose to gather all the information you are not told. You can choose to rest and take it easy when faced with the flu. You can choose to boost immunity with natural foods, herbal supplements, and homeopathy. The best defenses against viruses, while protecting healthy cells, have been the age old remedies of iodine and colloidal silver. 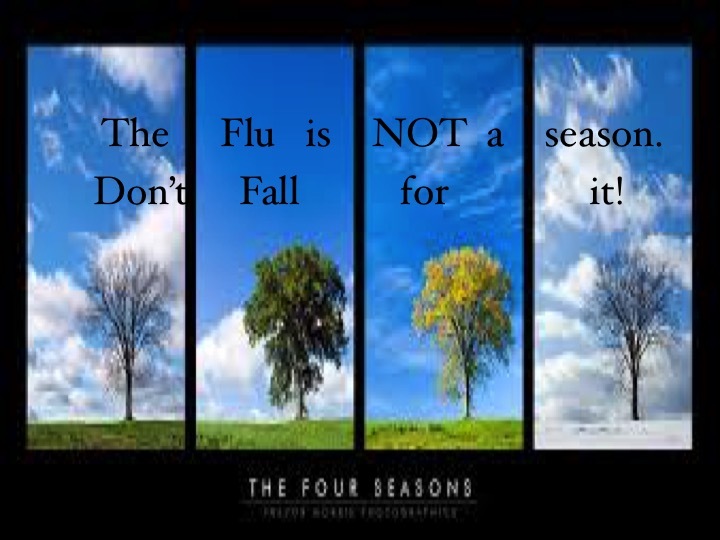 There are only four seasons in nature, none of which include a flu season. Colds and flus allow the body to strengthen itself. The immune system develops through its multi-layer interactions with stimuli in its internal and external environments. Babies first receive immune protection from their mother’s milk, as nature intended since the dawn of time. Why fear the body’s innate wisdom to heal itself when evidence clearly shows there is much more to fear from the flu shot? See Fluzone package insert for 2015. 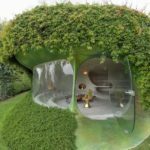 PreviousGot Digestive Problems You Can’t Solve? Next30,000 Year Old Virus to Be Resurrected Played Out in The X-Files?